With so many alluring destinations across South America, it's hard to pick where to travel next. From the rugged beauty of Patagonia to the striking architecture of Colombia, this part of the world offers romance, charm and a myriad of cultural attractions. Whether you want to admire the colonial buildings in Quito, Ecuador or visit the archeological wonders of Machu Picchu, the possibilities are endless. With this in mind, here are four destinations that afford excellent values and pleasant weather at this time of year, so be sure to plan your next adventure before the season ends. Patagonia's wild, wind-swept frontier draws adventure seekers in droves. Here, you'll find towering mountains, cobalt lakes and hardwood forests. If you want to get your heart racing, trek to the awe-inspiring Torres del Paine National Park or Tierra del Fuego, an archipelago filled with glaciers that's situated nearby Tierra del Fuego National Park, an excellent place for hiking and wildlife-watching. And while Patagonia is especially appealing from November to early March (summertime in the southern hemisphere), September, October and March ushers in vibrant blooms, comfortable temperatures and few tourists. Ecuador's vibrant capital city lures travelers with its colonial charm and diverse cultural attractions. A UNESCO World Heritage site, Quito boasts opulent 16th- and 17th-century palaces and an infusion of Italian, Spanish and Moorish art. Once you've explored Quito's can't-miss sights, enjoy meandering along the Old City's cobbled streets and browsing colorful markets near the Plaza de San Francisco. Cap off your visit with memorable meals along Calle La Ronda, a popular pedestrian-friendly thoroughfare brimming with dining spots, colonial architecture and art galleries. 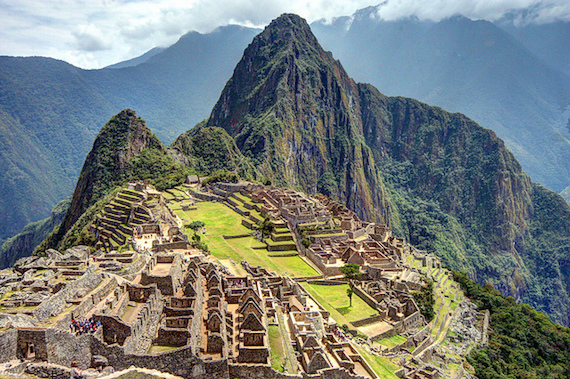 The "lost city of the Incas" iconic ruins are a must-visit in South America. Once you've admired Machu Picchu's glorious temples, gardens and masonry, carve out some time for checking out architectural splendors scattering Cusco, such as Qorikancha (Temple of the Sun) and the Sacsayhuaman ruins, which offer dazzling views of the city. And to fully immerse yourself in your surroundings, consider booking your trip with Mountain Lodges of Peru, which offers guided treks to Machu Picchu and luxurious mountain lodges with awe-inspiring views of the Andes. Cartagena's ornate cathedrals, cobbled streets and impressive colonial architecture are sure to inspire travel envy. Enjoy a leisurely coffee at one of the Old Town's cozy open-air cafes and indulge in signature dishes like ceviche and Arepa con Huevo (an egg layered with corn meal dough that's fried to flakey perfection). After you've fueled up, explore legendary sights like the Castillo San Felipe fortress or learn more about writer Gabriel García Márquez's ties to the city on a guided tour. And don't skip checking out the Getsemaní neighborhood, a trendy barrio known for its rising culinary and nightlife scenes and graffiti-lined buildings.